( 10/01/2014 ) A: Hello Katie, While some courses will have multimedia resources attached to them, most of the course comprises of course notes that you work through in your own time. 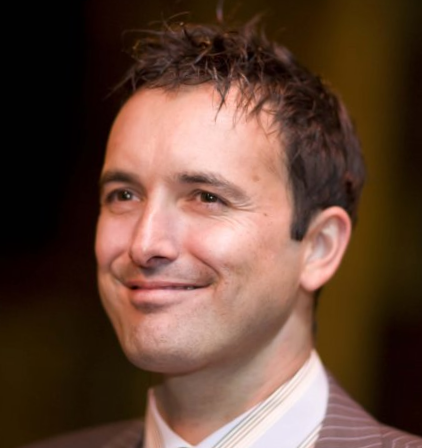 In US dollars the course is currently at roughly $535.00. The method of learning depends on your own preference. For example, a correspondence pack simply means you will receive your course in paper format. A CD means you will receive the course via CD and online means that you access it via the online study zone (this is also available to you whichever method of learning you choose). 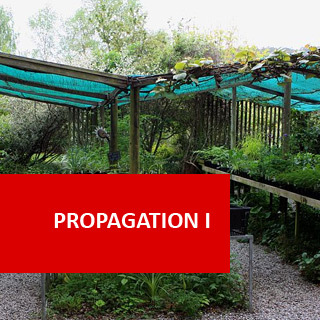 Propagation I course online. This is a foundation course in the Propagation plants. 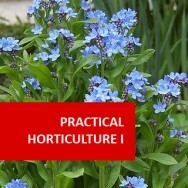 In this module you'll learn how to propagate plants and develop broad skills in this subject. Plants are propagated both sexually (from two parents eg. seed & spore) and asexually (from two parents eg. cuttings, grafting, layers, division). This course deals with the principles of propagation, and all of these methods; as well as materials and equipment. 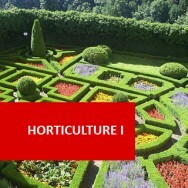 This is a module from the accredited RHS Diploma and provides credit toward IARC accredited diplomas offered by ADL. Designing Facilities in the Nursery: Administrative Offices, Circulation and Parking, Employee Facilities, Chemical Storage, Drainage Network, Production Areas, Storage Areas. Identify and sow a range of different types of seeds, in different situations, in a way that will optimise successful propagation. 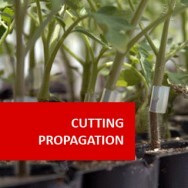 Pot up and provide after care for a range of propagated seedlings and cuttings. Plant a range of (different types) plant material. Maintain the desired growth type and habit for a range of plants. 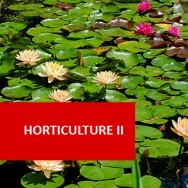 Identify a range of significant plant problems including pests, diseases and others. 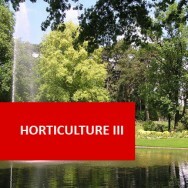 Identify a range of non woody and indoor plants of horticultural significance. Conduct a risk assessment of a horticultural workplace to determine safe working practices and select appropriate personal safety clothing and equipment. You will visit and contact various sites involved in propagation (real or virtual), including relevant workplaces. Through these visits the student will develop an awareness of workplaces and practical applications of the subject. Hardwood sawdust (e.g. from Eucalypts) should be composted before use. Some softwood sawdust should never be used because of highly toxic chemicals they contain. Pinus radiata sawdust has been successful for short term growing without composting (e.g. for propagation but not for growing a 6 month crop). Most sawdust will undergo decomposition while the plants are growing if not composted first, and throughout that process, the decomposing bacteria will draw on nitrogen from the nutrient solution leaving the plants with a lack of nitrogen. Coarse sawdust has been used successfully in potting soils in Australia; fine sawdust is used by hydroponic growers in Canada, though fine sawdust has displayed problems when used in potting mixes in Australia. Cation exchange capacity is good, but not as high as in peat. Peat has a high water holding capacity. Sphagnum peat generally has better aeration when wet than sedge peat. They are not totally free of nutrients. Some peat has a lot more mineral salts in them than others. Black peat, which is more highly decomposed, is not suitable for propagation at all. Peat repels water when it dries out. Be careful to never allow the surface of the media to become completely dry. Peat is useful as an additive to potting media to raise the cation exchange capacity, particularly in run to waste systems, though it will bring micronutrients to the system which could upset the balance of micronutrients supplied in the fertilisers. 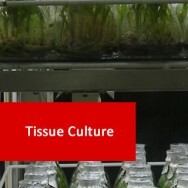 Only coarse grade, high quality peat should be used in hydroponic culture. Coconut fibre is produced from the fibrous outer husk of the coconut. It is very similar to peat except that it is a renewable resource and is generally not acidic or saline. Extraction of peat, which is a rapidly diminishing resource, from peatbogs or peat lands has over the past few years become a world-wide environmental concern. Peat bogs support wildlife that is often rare, within a fragile environment. 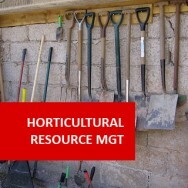 The horticulture industry in some countries has relied on peat resources for many years (the cost of which is gradually increasing as supplies diminish and extraction methods become more and more costly) as additives to potting mix and propagation media. Coir fibre - a renewable resource made from coconut fibre is becoming more established as a viable alternative to peat moss, in many instances. "The U.C. System of soil mixes, soil and plant treatments and handling operations has been developed since 1941 by the Department of Plant Pathology, University of California, Los Angeles, to practically eliminate diseases caused by those organisms and factors which involve the soil. Growers have generally found that they can produce better plants faster, easier, and more dependably by the U.C. system". DISEASES among young plants are potentially a catastrophe. It is possible to grow plants for years, paying little attention to disease control, and have little trouble, however if you do get a disease problem, it can also destroy a large proportion of your stock in a very short space of time (even a day or two). A major concept in the U.C. 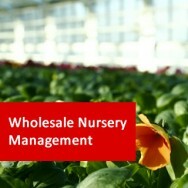 system is to avoid disease by recognising where it comes from and stopping it ever being introduced into the nursery! 1. Use a U.C. system type soil mix (see below). 2. Good drainage is provided. This allows for a proper balance between oxygen and water to be maintained in the root zone. 3. Leaching - to remove salt build ups and disease organisms from the soil. 4. Sterilising soil (making it free of disease and weed seeds). 5. Good water (free of disease). 6. Frequent light fertilising (to maintain nutrient levels and replace any nutrient lost by leaching). 8. Cleaning containers (pots, trays etc. are dipped in a chemical such as bleach to kill disease). 9. Sanitation (general cleanliness is practised; benches are washed with chemical, tools dipped, workers walk through foot wash to clean boots, wash hands before work, etc).